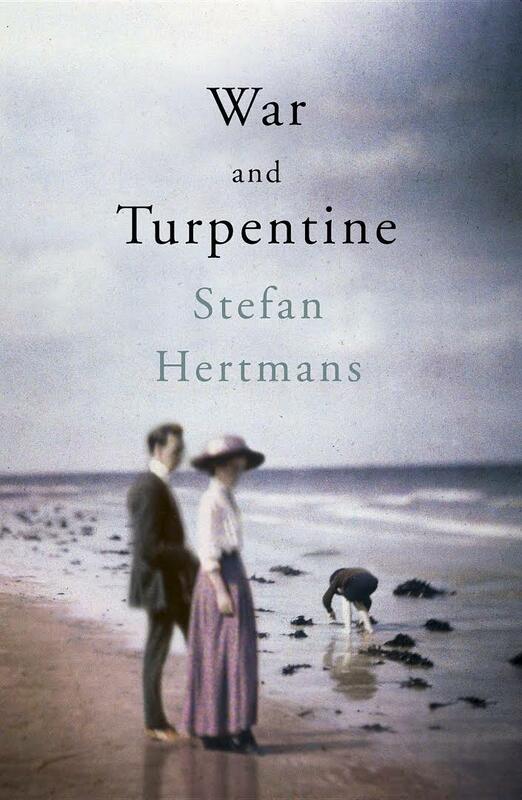 Flemish writer Stefan Hertmans’ War and Turpentine has the distinction of being the only book to appear on the long lists of both the Man Booker International Prize and the Best Translated Book Award (though Marie NDiaye’s Ladivine has an MBI 2016 listing to go alongside its BTBA nomination this year). I’m tempted to say it has sneaked onto both lists, firstly because its identity as fiction is rather tenuous, and secondly because it lacks the brilliance you would expect from the only novel noticed on both sides of the Atlantic. It marks the first appearance in English of one of Hertmans’ full-length works (translated from the Dutch by David McKay), despite his writing career beginning with a novel published in 1981, the year his grandfather, Urbain (the subject of War and Turpentine) died at the age of ninety. Hertmans goes on to recreate Urbain’s life, describing how his parents met, his father’s ill-health, and the poverty they had to contend with. Urbain’s love of painting is inherited from his father who is church restorer; the young Urbain spends hours watching him at work. He, however, begins working in an iron foundry at thirteen. The story is told in what might be described as a Sebaldian style (or sub-Sebaldian if we were being less kind) meandering from the present to the past as Hermans describes his researches (for example, a visit to the National Gallery in London to see Velazquez’s Venus at her Mirror, a painting his grandfather has copied) and interrupted with the occasional photograph. Part II brings an abrupt change of style as it focuses entirely on Urbain’s war years and is written in the first person. (It’s not entirely clear if it is lifted verbatim from his notebooks, though more likely it has been adapted from them). This creates a perfectly readable and interesting narrative, albeit one which adds little to our understanding of soldiers’ experiences during the war (apart, perhaps, from internal Belgian tensions between French and Flemish speakers – though these seem similar to divisions within the Austro-Hungarian army). The third and final section is the shortest, returning us to the style of the first. However, with most of Urbain’s life still to be lived, this makes the novel appear lop-sided – as if, now that his childhood and war have been described, there is little of interest left. Hertmans relies instead on some very literary techniques – the symbolism of a pocket watch, and the reveal of the painting which made his grandfather cry. In the end, given Urbain’s bravery during the war (seriously wounded three times) and aptitude for art, we have a portrait of an extraordinary man living a very ordinary life. For some this is a reason for rejoicing (see also Robert Seethaler’s A Whole Life) but I feel, instead, despair at a life stunted by lack of opportunity. (It also, as with Seethaler’s novel, contains amore personal tragedy). Though War and Turpentine features on two long lists, I would not be surprised if it made neither short list. Despite holding the reader’s interest throughout, it’s ultimately an imbalanced work, never quite the sum of its parts. You are currently browsing the archives for the Stefan Hertmans category.